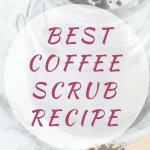 Enjoy all the coffee benefits for skin today and make a scrub that will help your skin glow. 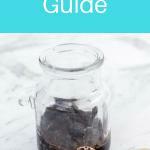 Read our coffee body scrub DIY guide now. That first full bodied coffee of the morning is usually a life saver for most of us but did you know you can use coffee for skin glow too? 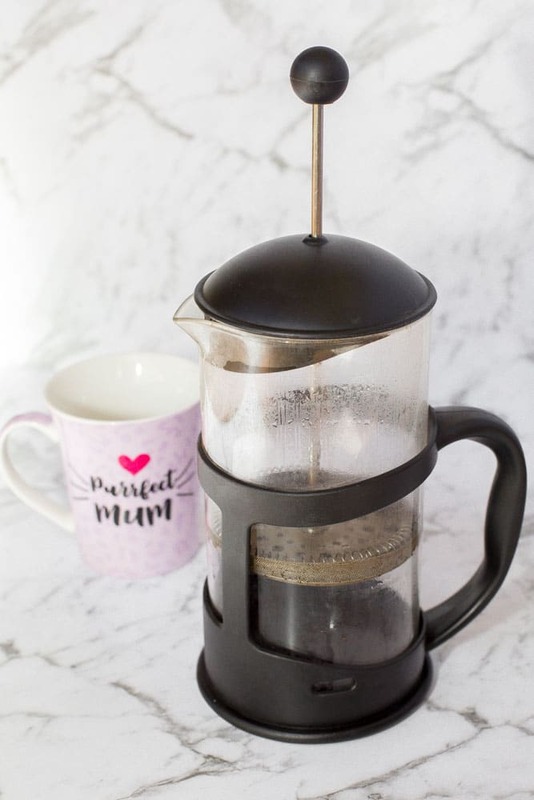 Yes you heard right, not only does it help you get your morning on the right track with that caffeine hit but you can create bean body coffee scrub too! There’s a few reasons why we love coffee for skin tightening and more. 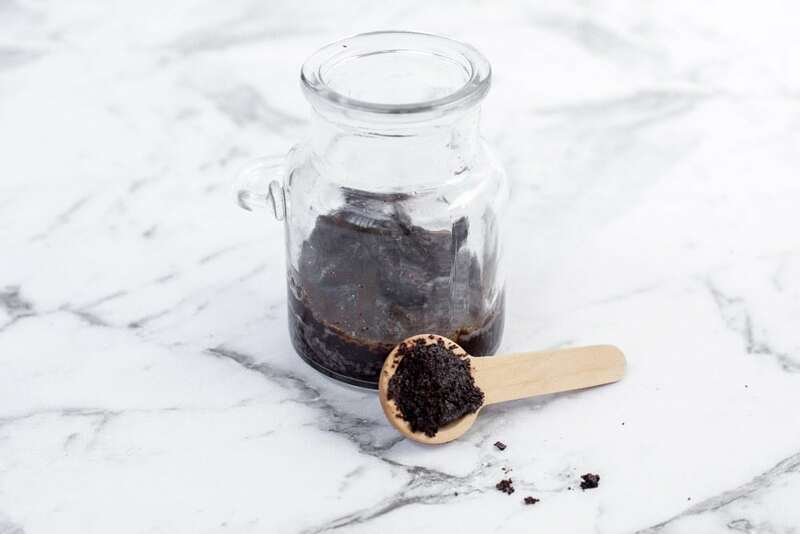 It’s amazingly cheap as you reuse your morning coffee grounds and a couple of extra ingredients that you are sure to have in your pantry already. 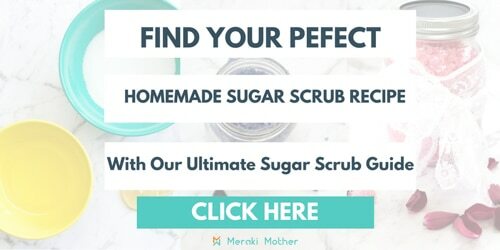 Steps on how to make coffee scrub are also super simple and it makes the best cellulite scrub around. Read on for the full guide. You may be wondering, is coffee good for skin? 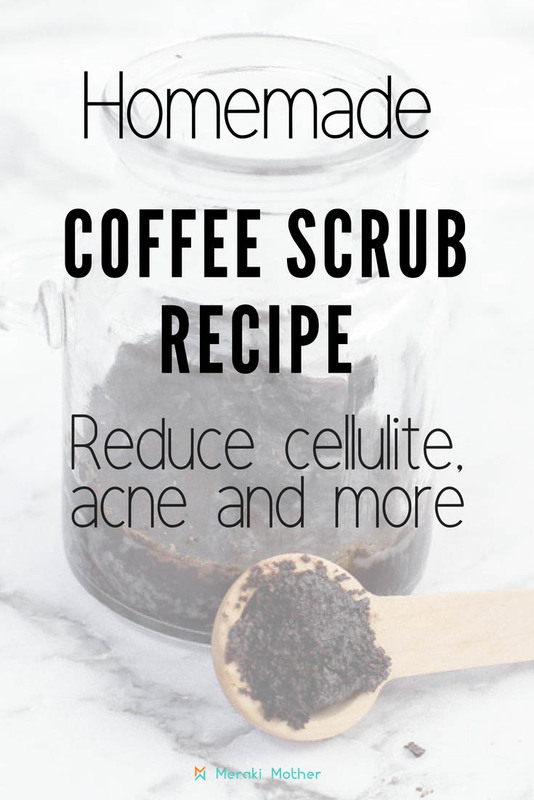 Coffee for skin, whether it is a coffee face scrub or a coffee scrub recipe for cellulite helps your skin to become healthier, not only in appearance but also with how it functions. Can’t wait to get glowing and beautiful skin? Learn how to make coffee scrub at home here. 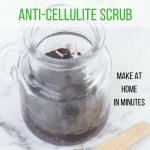 But first let’s find out why coffee scrub for cellulite works and how to use coffee for skin care. We all know that our skin is our largest organ. It is also one we tend to take least care of but worry most about the appearance of. You may be surprised about some of the coffee body scrub benefits. 1. The caffeine found in coffee ground exfoliant helps to increase blood flow and improves circulation. This is why coffee for stretch marks is so good. 2. Using coffee grounds for skin tightening works as coffee is a diuretic. This means it temporarily dehydrates cells closest to the surface of your skin and constricts your blood vessels so the skin appears tighter. This in turn helps reduce the appearance of cellulite. Caffeine is also known to have a lipolytic effect on fat cells. Which means it helps break down fatty tissues…which is what makes all those dimples. 3. Coffee exfoliating scrub removes dead skin which helps to get rid of toxins in the body. It also allows your skin to absorb things easier. 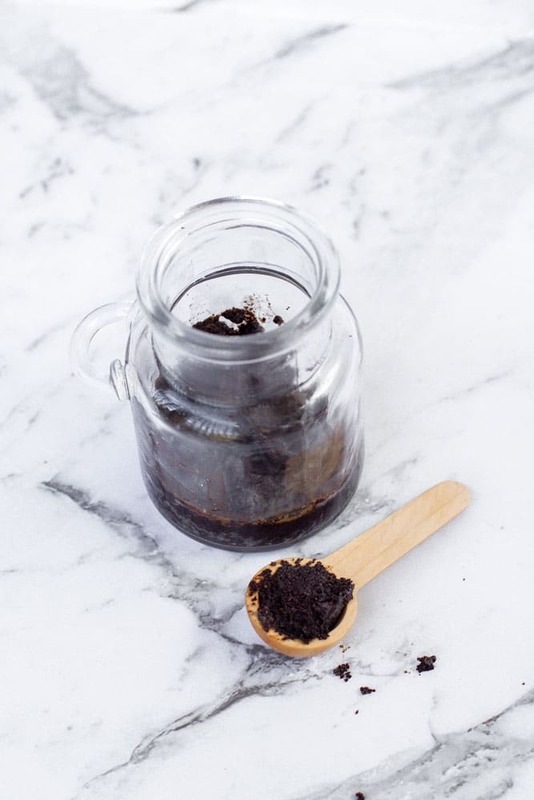 Our coffee scrub recipe with coconut oil is perfect to take advantage of this, as the skin can absorb the goodness from the coconut oil better. All those anti-ageing properties and antioxidants all get soaked up, leaving your skin smooth and soft. 4. Caffeine helps to reduce puffiness. 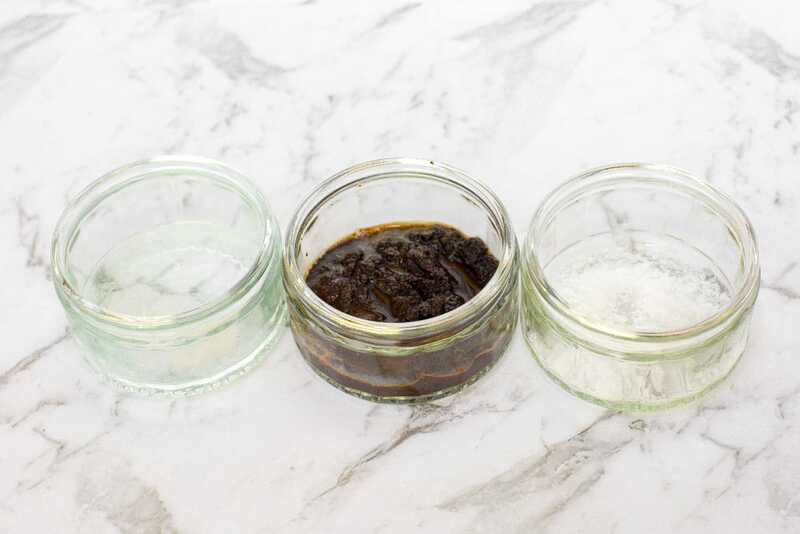 So a homemade coffee face scrub will tighten, brighten and stimulate your skin. Especially around your eyes. Just remember to treat the area gently and watch dark, puffy eyes disappear. 5. There are more benefits from a DIY coffee scrub for face use though. Antioxidants in coffee help reduce the appearance of fine lines, wrinkles and also brighten the skin by reduce age and sun spots on the skins surface. We love these coffee face mask benefits. 6. A coffee body wash can also help any inflammation of the skin by helping to rid any extra fluid from swollen tissues. 7. The antioxidants found in coffee also help to reduce breakouts and red, inflamed skin making a coffee scrub for acne just perfect. 8. It’s all natural! No nasty toxins or chemicals are in our coffee scrub recipe. Try to get the best ingredients like Organic coffee. It is much better to drink too! 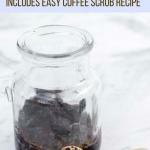 Homemade coffee scrub is a cost and time effective way to start taking better of your skin. It is also very easy to add to your daily routine. Keep reading to find out how to make your own coffee scrub and get all these amazing benefits. We have found a coffee salt scrub to be the most effective for our skin. All you need is coconut oil and coffee grounds, with a pinch of sea salt. If using coffee grinds from your morning coffee made sure they have cooled down. Add the coconut oil and mix well. If your oil is solid be sure to melt it first. Store your homemade coffee body scrub in a waterproof and airtight container. Click here for the best prices on storage ideas. For the best results with the coffee and coconut scrub we suggest using a dry brush before you hop into the shower. Find the best dry brushes here. This will help exfoliate the skin even more and also stimulate your blood flow. Once you are in the shower apply our best coffee scrub to areas that you wanted treated and massage on the skin in circular motions. This recipe can also be used as a coffee and coconut oil face mask. Just be sure to treat the delicate skin on your face gently and use fine coffee grinds for best results. Taking the time to look after yourself more? ( because we all know that makes for a happy mom and a happy home ). Check out these easy mom hairstyles and ban the mom bun for good. Coffee Face Scrub for Oily Skin. Add yogurt to your coffee grinds. Coffee and Honey Scrub. Add brown sugar, honey and olive oil to coffee grinds. Coffee and Olive Oil Scrub. 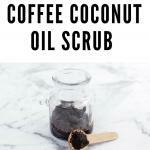 Simply swap coconut oil for extra virgin olive oil to create a coffee olive oil scrub. Organic Coffee & Sugar Body Scrub. Replace sea salt with 1/4 cup of sugar for an amazing coffee sugar scrub recipe. This would also make a coffee sugar scrub for face but be sure to use a coffee brown sugar scrub as other sugars will be too harsh on your skin.